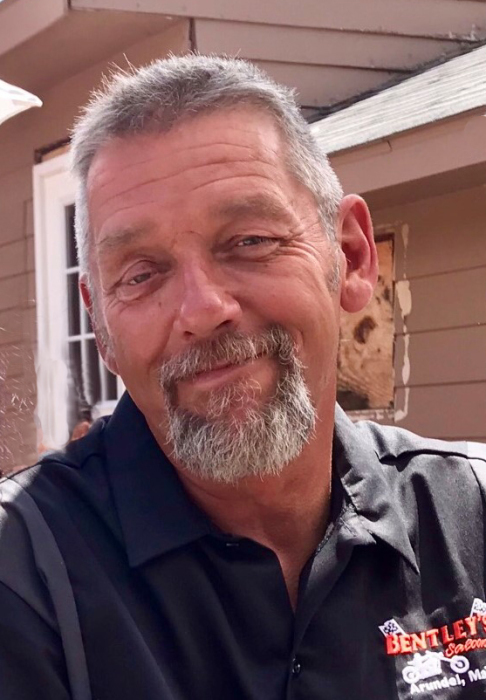 Frank R. Libby, 60, of Biddeford died Thursday, March 21, 2019 at his home. He was born December 7, 1958 in Newport, RI. A son of Donald and Eleanor (Hutchins) Libby. He moved to Biddeford as a young boy. Frank was a 1977 graduate of Biddeford High School. He enlisted in the Army in 1977 and was medically retired by 1981. On September 16, 1977 he married Judy Langevin in Biddeford. He started his masonry career with Ralph Tanguay. Frank proudly worked for his son Nate, of Nate Libby’s Masonry for many years. Eventually starting a masonry company with his other son Chris. Later he transition into plumbing and worked for 10 years with Jim Godbout Plumbing & Heating. Frank enjoyed many sports but the game of golf was his favorite past time. He excelled in the sport. In his late 20’s he was an assistant pro golfer at Salmon Falls Country Club. He competed in many MSGA tournaments. Later he made his golf home at Dutch Elm Golf Course. He has been a long time member. He has won a few club championships that he likes to boast about. He looked forward to his annual Florida golf trips with his buddies. Preceding him in death were both parents. Survived by his step mother Barbara Libby. Grandchildren:​ Arianna, Amaya, Olivia, Georgia, and Memphis. He loved his grandchildren and enjoyed making them laugh. 3 Brothers: Fred Libby and his wife Beth, Philip Boisjoly and wife Michelle, and Robert Boisjoly and partner Brian.